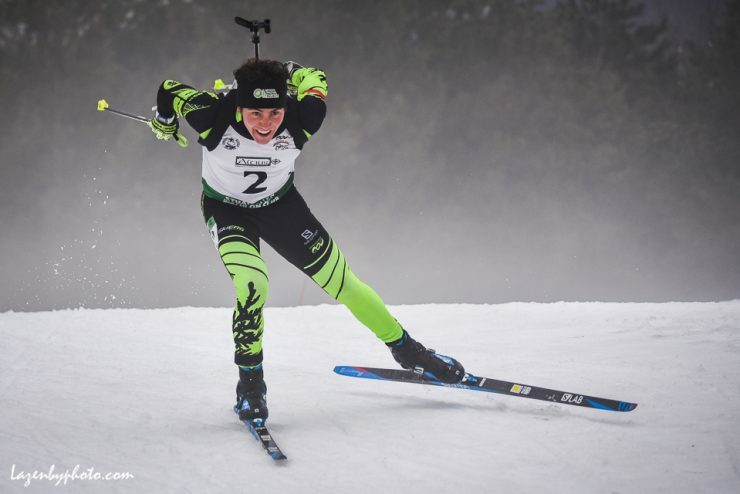 Link to John Lazenby’s USBA National Championships gallery. 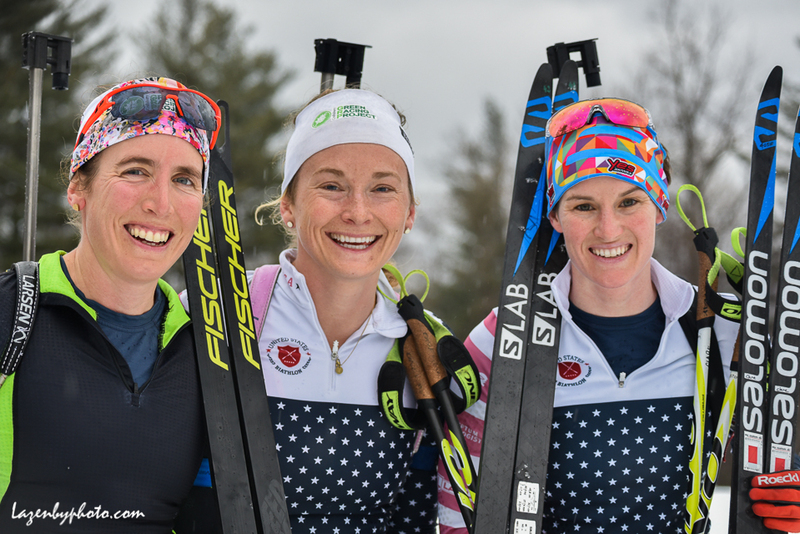 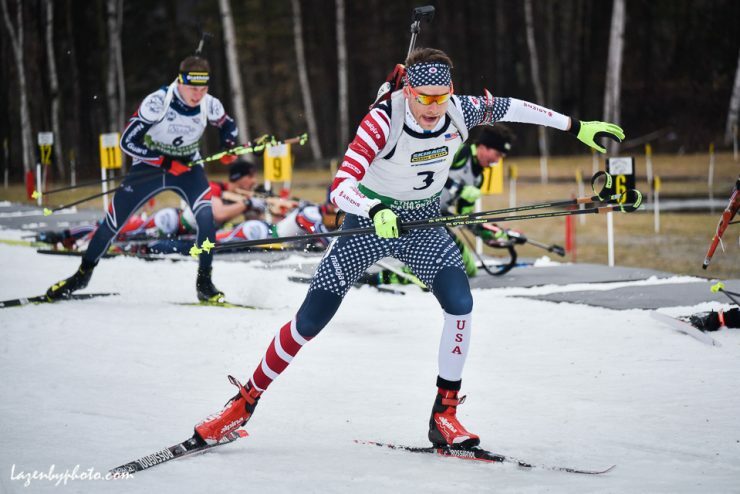 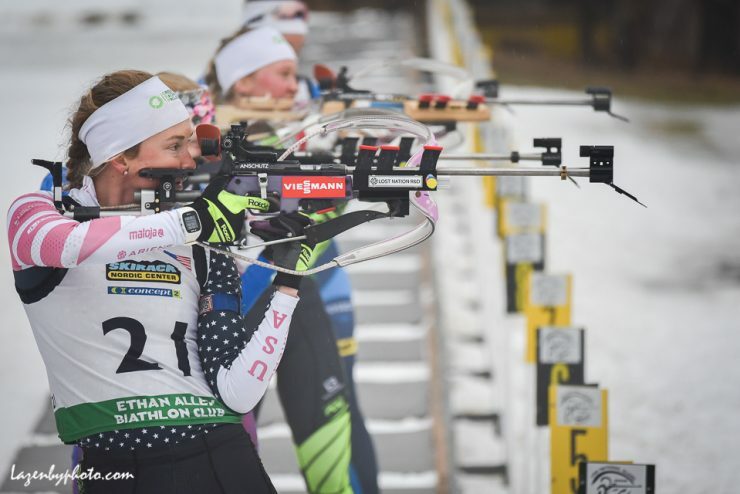 On Sunday at the US Biathlon National Championships in Jericho, Vermont both the men and women raced a 5-kilometer mass start super sprint with four shooting rounds — prone, prone, standing, standing. 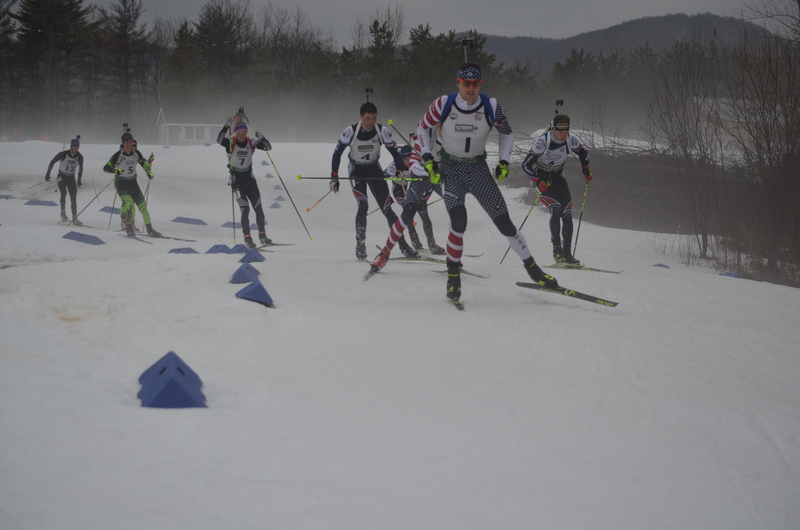 Sean Doherty (USBA) took the men’s win in 14:47.6 while shooting 0+2+0+1. 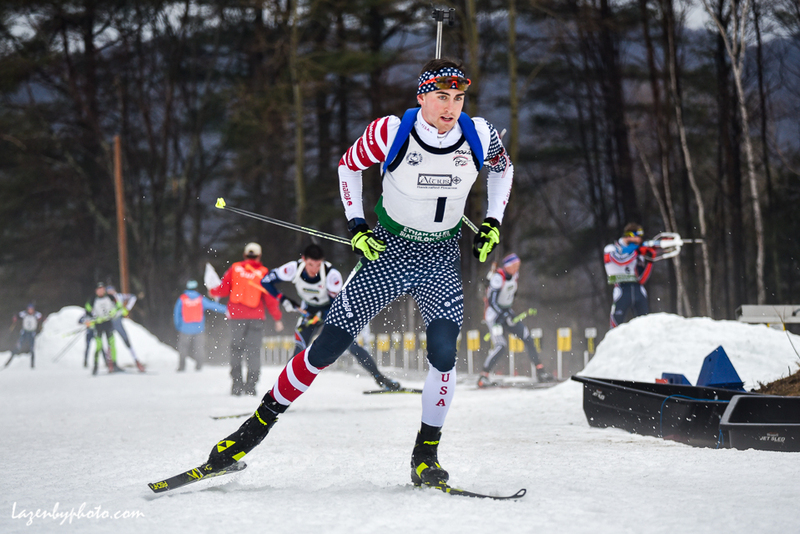 Cody Johnson of the U.S. National Guard placed second (+26.1, 0+0+0+2). 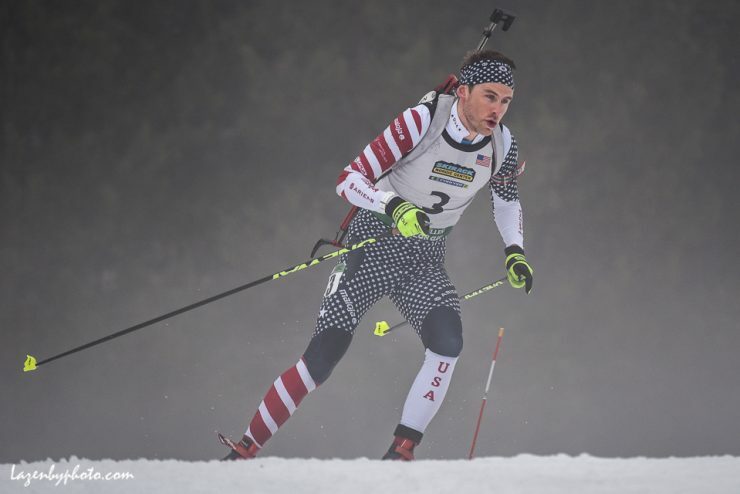 Travis Cooper representing National Guard Biathlon raced to third (+27.4, 1+0+1+1). 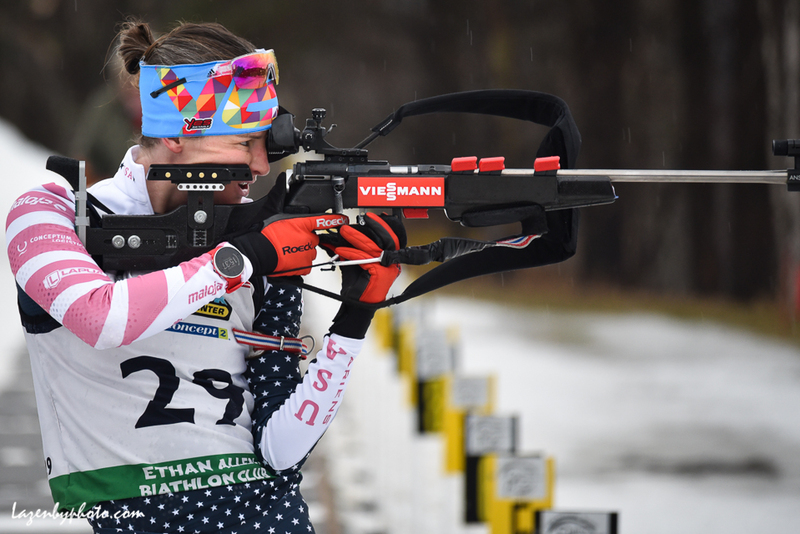 Susan Dunklee (USBA/CGRP) won the women’s super sprint in 16:08.1 shooting 0+0+3+0. 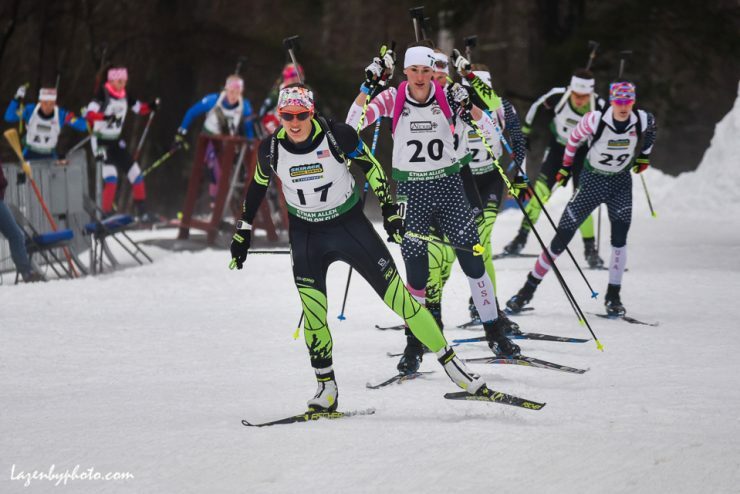 Clare Egan (USBA/CGRP) placed second (+13.9, 0+0+0+0), and Emily Dreissigacker third (+43.4, 1+0+0+0).